Navratri is the 2nd biggest festival celebrated across India and by Indians world over. Diwali, which is the biggest festival that is celebrated by Indians in India & abroad, falls right after Navratri. Navratri is a 9 day festival that celebrates the victory of good over evil. “Nav” means Nine & “Ratra” or “Ratri” means nights. The festival is also known as Dussehra as the festivities of 9 days culminate on the 10th day known as Vijaydashmi. There are many legends attached to this festival and they all relate to Goddess Shakti in her various forms. The Goddess is popularly worshipped in 3 different forms that represent the different stages of a woman – the child, the young girl and the mature woman – Kumari, Parvati & Kali. The beginning of Spring and Autumn are considered sacred periods and the Mother is worshipped on these occasions; the dates are determined by the Lunar Calendar. The Navratri celebrated during the month of Sept – Oct is also known as “Maha Navratri“. The festival is celebrated with lots of vigor and enthusiasm across the country and the festivities differ from state to state. In the North, the most popular celebrations are in Gujarat and West Bengal. 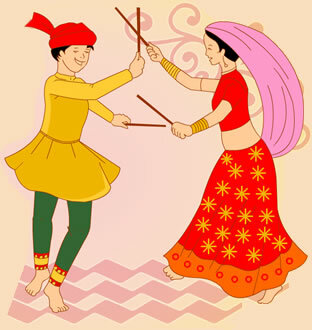 In the state of Gujarat, the festival is celebrated with the famous Garba & Dandiya-Raas. The dances and celebrations are so popular that it is not only restricted to the state, but is celebrated across the globe in many Indian communities. People turn out in their best Garba Dance attire and dance in “maidaans” & cultural activities organized by communities and the government until wee hours of the night. In East India, West Bengal, this festival gathers pomp and fervor in the last 4 days – starting from Sashti (6th day). Exquisite life size idols of Goddess Durga is carved and decorated beautifully depicting her slaying the demon Mahishasura. The idols are worshipped and immersed in the sea/river on the 10th day. Southern India celebrates this festival with “Golu” which involves decorative idols of gods & goddesses. Steps are set up and idols of deity placed on them. Popular idols include Dashavatar of Lord Vishnu, Shiva, Lakshmi, Saraswati, Krishna, etc. On the eight day or Ashtami, books are traditionally placed in front of Goddess Saraswati (Giver of Wisdom) and pujas are conducted. The books are removed on the 10th Day or Vijayadashami. This day is also considered auspicious for initiating children into reading and writing, opening new businesses, moving houses, etc. What good is an Indian festival without scrumptious, mouth watering sweets and other savories. 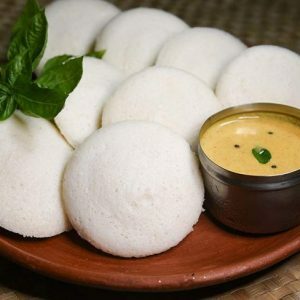 One would find varieties of food being prepared at home or offered in restaurants -foods that cater to people who are on “Vrat” (fasting), snacks, short-eats and of course, the all important “mithais“ (desserts). Many people in the North undertake a “vrat” or fast during this period. 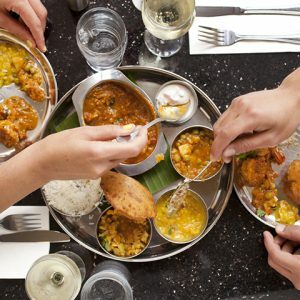 Some popular “Navratri Vrat” food are: “Saboodana Khichidi“, “Saboodana Kheer”, “Singhare ki Barfi“, “Singhare ka halwa”, “Aloo Pulav“, “Vrat ke Chawal“, “Chawal ka Kheer“, Aloo Halwa, Shakarkand Chaat. In the south, “Sundal” is very popular during this time. Sundal is like a salad made from gram/ different varieties of peas. Indulge yourself in some of the most popular ones like: “Peanut Sundal“, “Rajma Masaala Sundal“, Karamani Sundal, Karamani Sweet Sundal, Sweet Corn Sundal, Chana Daal – Coconut Sundal, Chana Daal – Masala Sundal, etc. Items like “Aloo Poshto“, Baingan Bhaja, Aloo Khichidi, Aloo Mewawala, Panchamrit, Kaddu ka Sabzi, Pumpkin Chutney, Potato Pumpkin Pancakes, Kele ke Kofte, etc. are a part of the main meal. An Indian Festival without the traditional sweets is meaningless. Try these traditional sweets at home and let you and your family indulge in one of the most celebrated festivals of India. Some popular payasams (kheer): “Aval Payasam“,Paruppu Payasam (recipe video), Vermicelli Payasam, Paal Payasam & Moong Daal Payasam. Some Popular sweets: Mishti Doi, Sondesh (recipe video), Rasgulla, Sweet poha, Coconut Burfi, Sukhto, Beetroot Halwa, Badam Halwa (recipe video), Chikku Burfi, Basundhi, Carrot Kheer (recipe video), Carrot Halwa (recipe video), Saboodana Kheer, Rajbhog and the all time favourite – Gulab Jamun (recipe video)! 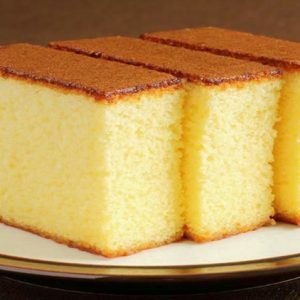 Indulge yourself this Navratri season with these recipes from AwesomeCuisine.com. Happy Dussehra folks! Feel free to comment or share your thoughts on this "Best of Navratri Recipes" article from Awesome Cuisine.